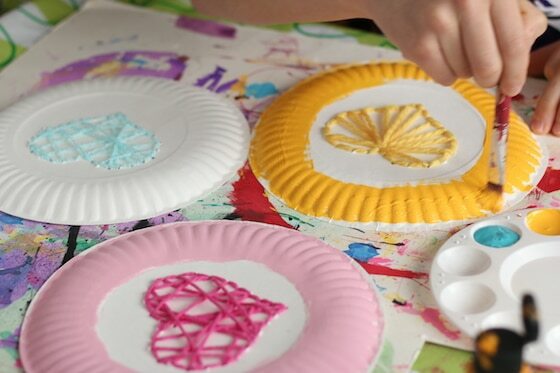 This PAPER PLATE YARN WEAVING ACTIVITY combines an easy Valentines Day craft with a beginner sewing project! 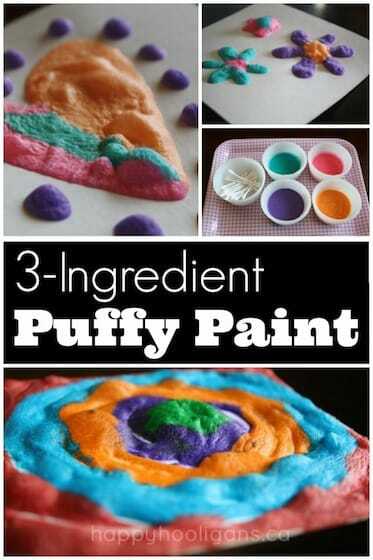 It’s great for fine motor development, and the results are so pretty! 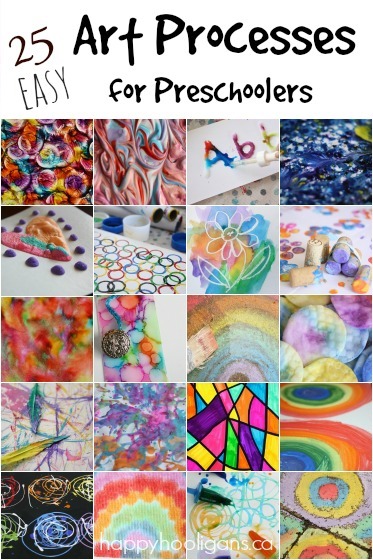 Welcome to the latest post in our A-Z Paper Plate Crafts series! “Y” is for Yarn! Oh my hooligans do love a good yarn craft. 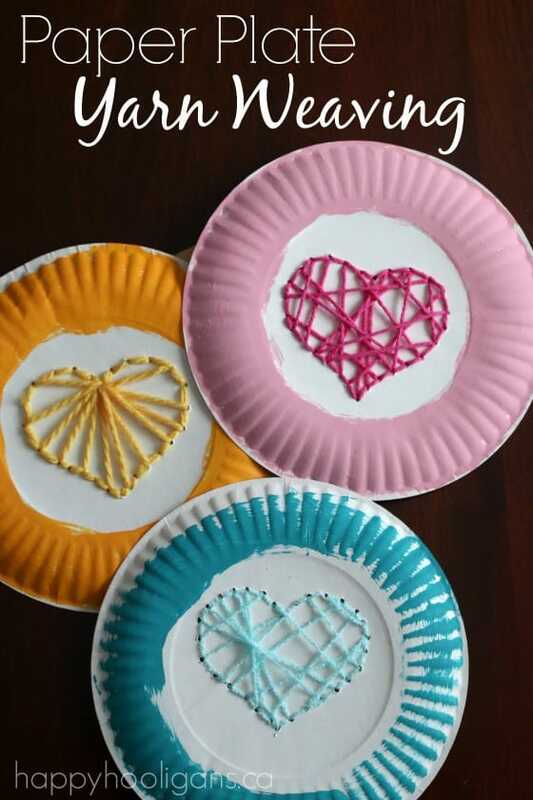 Not long ago, we did this paper plate yarn art project, and I was amazed by how lovely two simple supplies, just yarn and a paper plate,could look. We’ve put the two materials together again for today’s weaving activity. Because the words “weaving” and “sewing” are interchangeable with a project like this, I’ve use both throughout this post. This simple weaving project offers a variety of skill-development. 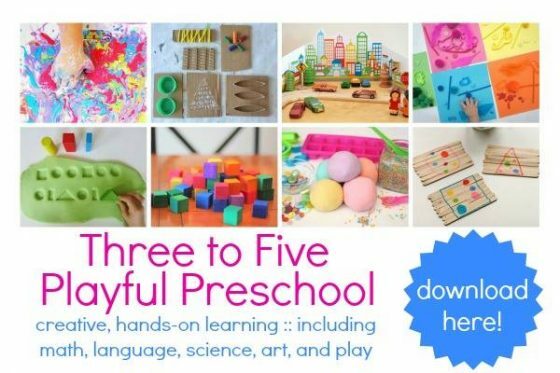 Both weaving and sewing help to increase fine-motor strength and hand-eye co-ordination. There’s the stitching itself of course, which in today’s high-tech world, most kids are not too familiar with. It’s great! 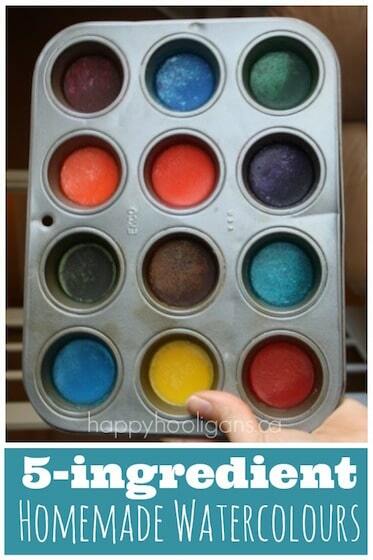 This craft will get kids thinking and doing things differently than they’re used to! New experiences = new connections and synapses being formed in the brain! The idea for our weaving project came about the other day when I mentioned to the hooligans that I had hand-sewn a rip in my son’s pyjamas. One of the hooligans asked what “hand-sewn” meant, and I explained that I had used a needle and thread to sew the pyjamas back together. She responded with “Wow, I don’t even know how to sew”. Ahhh, I thought! Let’s do something about that! 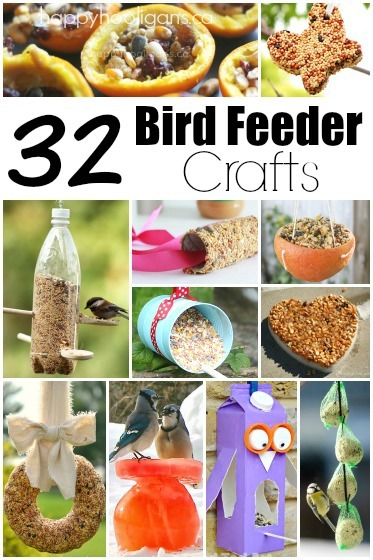 So we gathered up some paper plates, yarn, and plastic sewing needles, and we came up with this easy weaving project. It was a great early sewing activity! There was lots of variety in the process: tracing, cutting, making marks, poking holes, weaving (or sewing) and painting. 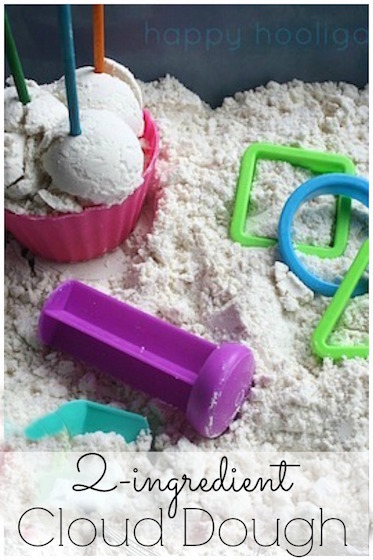 And everyone enjoyed it; from the preschoolers to the tweens to my teenage helper. For your convenience, this post contains Amazon Affiliate links. 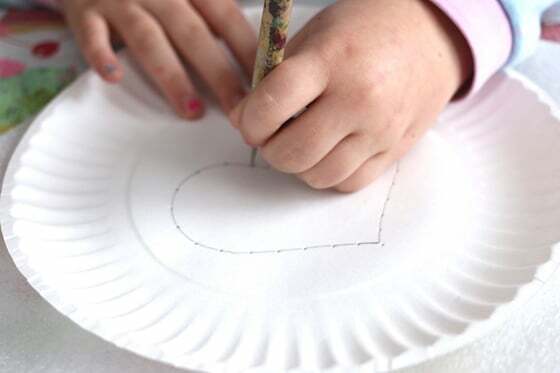 We began by using a stencil and pencil to trace a heart onto the center of a paper plate. 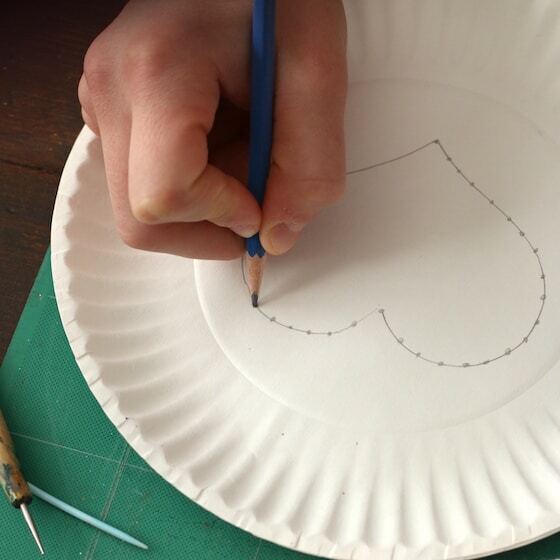 Then, with the pencil, the kids made dots all around the outline of the heart. My older hooligans were able to make fairly evenly-spaced dots. A younger child may need assistance making his or her dots on the pencil line. Then we used a craft stylus to poke holes through each dot. If you don’t have a stylus, you can use a sharp pencil. This part is particularly fun. Place something soft underneath the plate so the stylus will poke through. A tea towel and a styrofoam produce tray worked well for us. Next, your child can thread their sewing needle with a long length of yarn, and begin sewing or weaving in and out of the holes. One thing the hooligans learned quickly was to not take their yarn across the upper-most holes (from the top of one arc to the other) or they would cover up pointy indent in the top of the heart. Back and forth they stitched. When they had gone in and out of every hole in the outline, I showed them how to back-stitch around the outline of the heart to give it some definition. Back-stitching was definitely trickier and required some thinking but they got it, and finished up wonderfully! 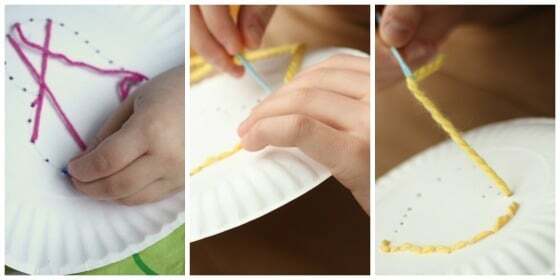 Older kids can use this weaving process to make specific designs on their hearts, as we did with our yellow paper plate, and younger children can simply sew randomly, criss-crossing their yarn wherever. To secure the yarn when you’re finished sewing, simply knot the loose ends behind the plate. 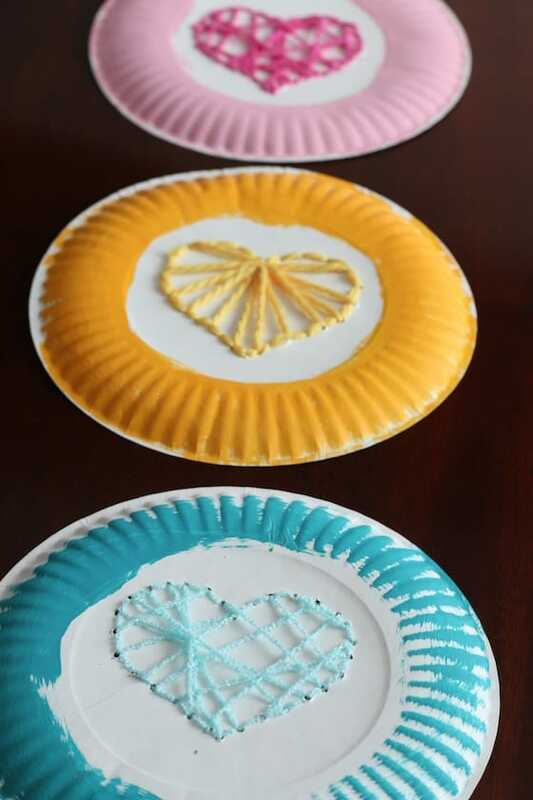 For the finishing touch, the hooligans chose a matching shade of paint to brush around the border of each plate. 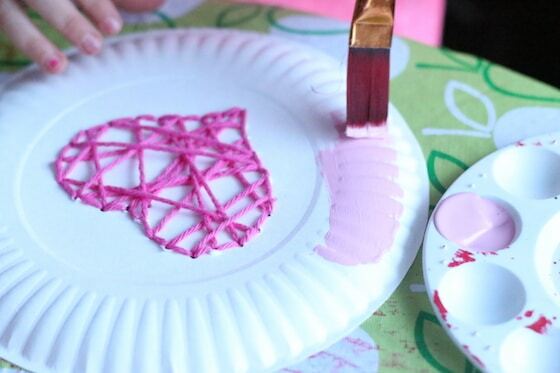 And there you have it… A fun and simple beginner weaving project that kids can display for Valentines Day! 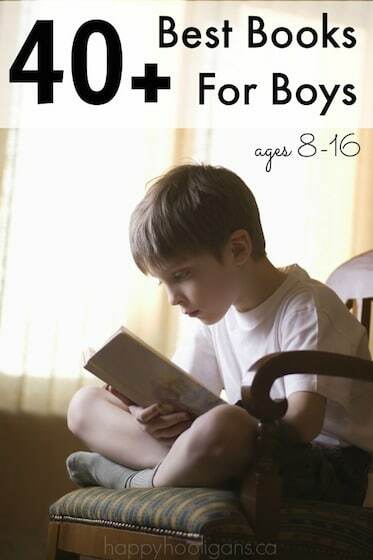 And when your children are ready to pick up a real needle and thread, Red Ted Art has lots of tips and projects for teaching kids how to sew.